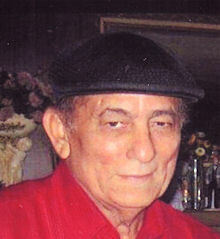 Nestor Elias Melendez, age 77, of Lorain, passed away at his residence in the early morning hours of Sunday December 23rd, 2018. Born in Rio Grande, Puerto Rico, he had been a resident of the United States since the age of sixteen. Nestor had been employed as a production assistant at Ford Motor Company’s Lorain Assembly Plant for thirty years; he retired from the automaker in 1996. In his free time, Mr. Melendez enjoyed playing dominos, following the World Wrestling Federation, and cooking for family and friends. Additional interests included spending time with his family and, especially, his grandchildren. He is survived by his wife of thirty-one years Claudette (nee Carter) and by children Carmen Lugaro of Chicago, Luz Espino of Cicero, Illinois, Nestor Rosario-Rodriguez of Carlisle, Kentucky, Heather Feliciano of Lorain, and Courtney Melendez at home. He also leaves fourteen grandchildren, numerous great grandchildren, sisters Fela Santiago, Angela Rosario, Efijenia Rosario, and Dolores Rosario, along with brothers Eugenio Rosario, David Rosario, Alberto Rosario, and Jose Rosario. Nestor was preceded in death by his parents Eugenio Rosario and Pauline (nee Melendez) Rosario, sister Sarah Rosario, and brothers Benjamin Melendez ad Isaias Rosario.